Isaac “Ike” Black (18? ?-1895) – An outlaw in Kansas and Oklahoma, Black first got into trouble for stealing cattle in Kansas. After doing time in the Kansas Penitentiary, he made his way to Oklahoma. In the early 1890’s he hooked up with outlaw fugitive Zip Wyatt, who was wanted for wounding two people in Oklahoma and for the murder of Deputy Sheriff Andrew Balfour in Kansas. the pair soon formed a gang, making numerous robberies in the area, including the robbery of the Hightower Store and post office in Arapaho, Oklahoma in November, 1893. As Black and Wyatt hid out in the Gypsum Hills, they were often aided by their wives, who brought them food and supplies. The gang was quickly blamed for almost every crime committed in the territory, and the two were actively pursued by lawmen. Ike Black and Zip Wyatt were thought to have joined up with the Doolin-Dalton Gang, participating in the Rock Island train robbery in Dover, Oklahoma on April 3, 1895; however, this has never been confirmed. On June 3, 1895, an outlaw gang robbed the store and post office at Fairview, Oklahoma, taking everything of value and three horses. The outlaws were quickly pursued by U.S. Deputy Marshals, Gus Hadwinger and J. K. Runnels, and Woods County Sheriff Clay McGrath and Deputy Marion Hildreth. Catching up with the robbers the following day, they surprised the gang who were hiding in a cave near the county line. In the ultimate gunfight that broke out, Ike Black was hit in the foot and Zip took a shot in the left arm, but the outlaws were able to escape. The pressure continued from the lawmen, which now numbered almost 200 looking for the pair. On July 26, 1895 the outlaw pair robbed the Oxley, Oklahoma post office and store, but only gained about $35 and some supplies. However, during this robbery, they were recognized and the next day a posse went after them, tracking them to a site near Salt Creek, about six miles northwest of Oxley. When gunfire erupted once again, Black received a flesh wound to the head, but both men were able to escape once again; however, their horses had run off and they were now afoot. The following day, they had made their way to a farm about five miles west of Okeene, Oklahoma, where they stole some horses and a cart. Another posse was formed, led by Robert Callison, the constable of Forrest Township, and the men once again went after Black and Wyatt. Tracking them to a canyon on July 28th, where the guns blazed once again and posse member, Frank Pope was shot in the right leg. However; the “lucky” outlaws once again were able to escape. By this time, the original posse was joined by another from Alva, Oklahoma, led by Deputy Sheriff Marion Hildreth, who pursued the fugitives southeast. Black and Wyatt took refuge in a shack about four miles east of Cantonment (present-day Canton) and when the posse caught up with them on August 1st, Black was shot in the head and killed. Zip was also shot in the left side of his chest, but escaped the posse, only to be caught a few days later. U.S. Deputy Sheriffs Marion Hildreth and J. W. Mueir brought Black’s body to Alva on a horse-drawn wagon for burial. The only personal effects on his person were a picture of his wife, Belle, $1.50 in silver, and copies of two ballads. 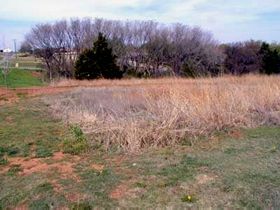 Isaac Black was buried in a pauper’s grave without ceremony at the Alva Municipal Cemetery at county expense.